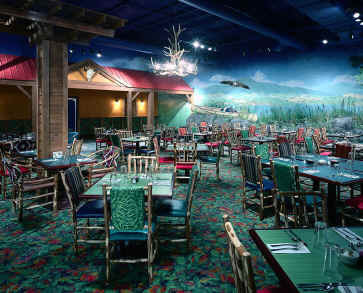 entaLeis™ is a proud distributor and consultant for THE MAX system by Milliken Hospitality Carpet. 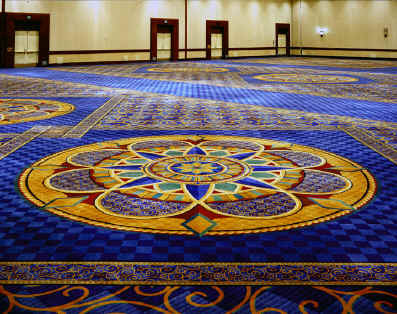 Milliken Hospitality is a company dedicated to providing patterned carpets to the hospitality market with the most advanced computer controlled design technology in the industry. 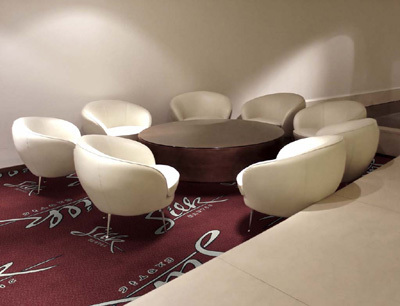 Milliken features the largest standard product offering and the most flexible CUSTOM capabilities of any Hospitality carpet manufacturer. Stain and Soil Protection as well as Anti-Microbial Protection is now STANDARD on all bases! Visualize your carpet installation with our computerized virtual design tools. 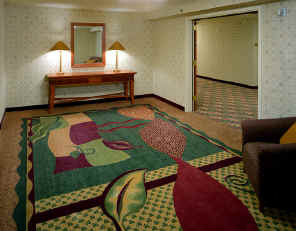 "SEE" your carpet design in a BEFORE placing an order. 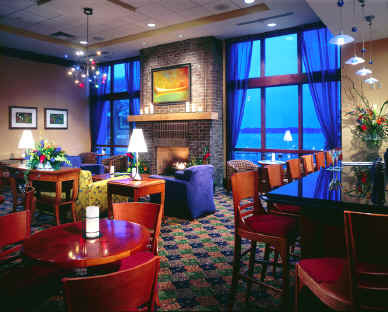 Photo at left is a computer rendering of client's design in a room setting. Tweak the colors and configurations to your hearts content and entaLeis will render your results in a typical room for your approval. 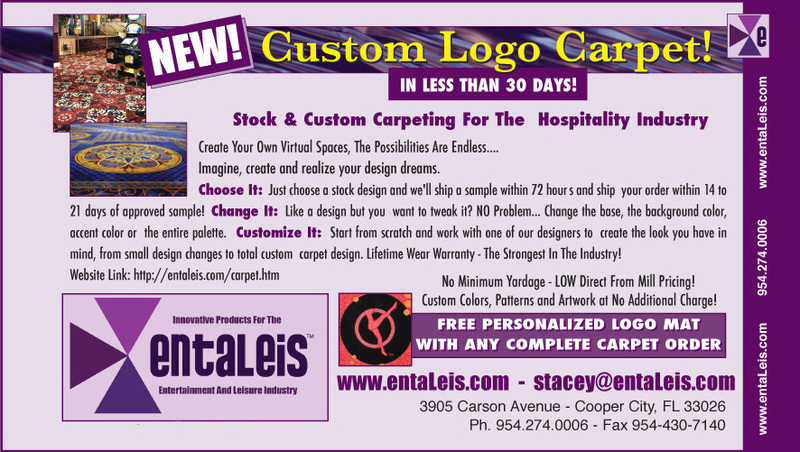 It's the most incredible carpet design tool ever created and now available through entaLeis carpeting consultation service! 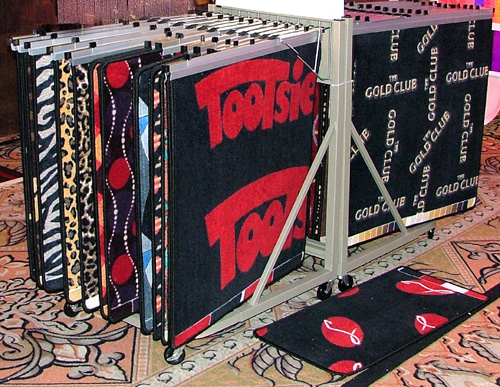 We've created Logo Carpeting for some of the finest nightclubs and restaurants in America! Email us your logo today for a FREE design evaluation.We can provide custom samples in as little as 72 Hours! 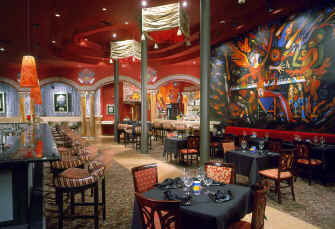 No Minimums: Order what you need, when you need it. Any quantity, any size, any time! Change It: You like a design, but you want to tweak it? No Problem - Change the base, the background, the accent color or the entire color palette. Customize It: Start from scratch with Milliken’s revolutionary Max System. Work with one of our designers to create the look you have in mind. 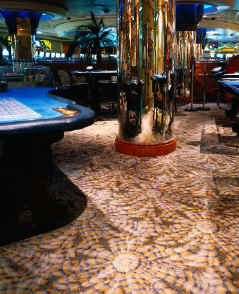 From small design changes to total custom carpet design. Lifetime Wear Warranty - The Strongest In The Industry!